Un cordial bienvenue à nos anciens et nouveaux visiteurs de cette première version originale et officielle française de notre site www.sexonomics.com, en espérant que cette version saura vous plaire encore plus. © 2011 Dr. Adalbert Lallier. Tous droits réservés. MD 1989 Sexonomics est une marque déposée de Dr. Adalbert Lallier. 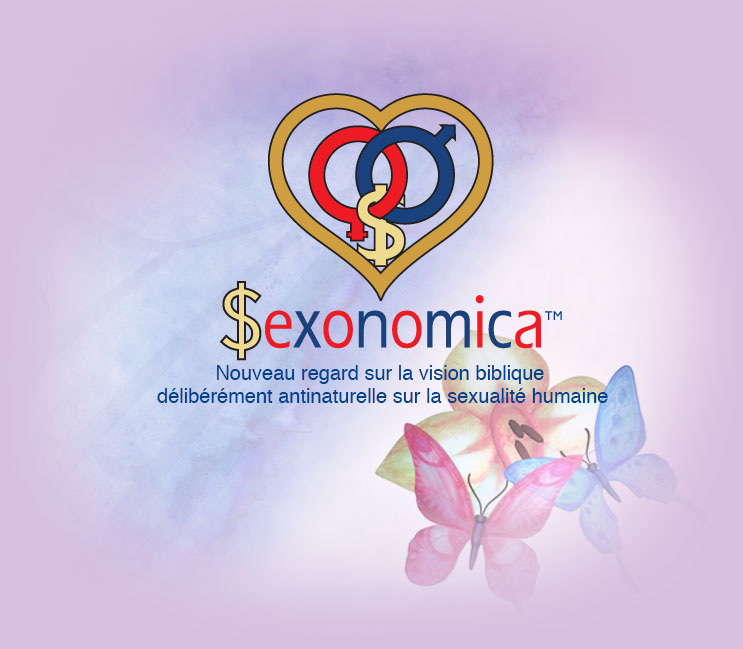 A path-breaking academic inquiry, "Sexonomics" ["sexonomica", in the French version] is viewed as the fifth social science, one that is meant to use the objective reasoning of economics in the quest to understand, to explain, and to predict the complexity of human sexual interaction. Created in 1987, the idea/topic/name/subject of "Sexonomics" has since found worldwide positive acceptance and is also being reviewed and discussed in academic circles. However, most regretfully, it has also been usurped by persons who and enterprises that appear to have no moral qualms in their own fraudulent profit-seeking use of this Trademark, without having first secured the owner's consent, and not even bothering to answer the owner's repeated objections. Alone on Google, thousands of web-pages have been inserted, most of which having absolutely nothing to do with "Sexonomics" in its original definition and meaning, even though published under title "sexonomics", an illegal activity involving misuse, misrepresentation, disinformation, and even fraud. Each and all of the visitors to www.sexonomics.com are invited to open the title page of my text "The Golden Triangle: Sexuality, Money, Power – Sexonomics" and to enjoy its contents, alert to the fact that most of the other more than 72,000 entries on google, only a very few had obtained my legal consent to publish their views by using my Trademark 'Sexonomics". You're also referred to my blog "Dr. Lallier's 'Sexonomics Hall of Shame", for specific reference and information. This blog is meant to expose the names of some of the persons and enterprises that have been most blatantly involved in this illegal activity, viz. the misuse, misrepresentation, and disinformation of the original real meaning, scope, and method of "Sexonomics". A professor emeritus of economics and international politics, Dr. Lallier is inviting his readers and other persons with similar dismal experiences—individuals and institutions that are committed to the upholding of international agreements on intellectual property and to putting a legal constraint upon this massive fraudulent use of my Trademark and Copyright—to contact Dr. Lallier, at lieux0525@hotmail.com.